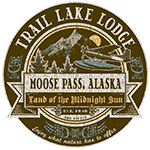 While most of our guests choose Trail Lake Lodge to experience everything that the Kenai Peninsula has to offer, it’s not uncommon for groups to book all-inclusive, fishing-only packages. Our fully-customizable Adventure Vacation Packages can include marine cruises, bear viewing, birdwatching, and ziplining, but we fully understand that sometimes the salmon fishing in Alaska is too good to pass up! Trail Lake is a short boat ride from the world-famous Kenai River, home to one of the best salmon runs in the world. It’s worth noting that our guided fishing trips can also visit secluded rainbow trout and halibut hotbeds, but today we’re going to focus on the many different salmon fishing seasons here on the Kenai Peninsula.